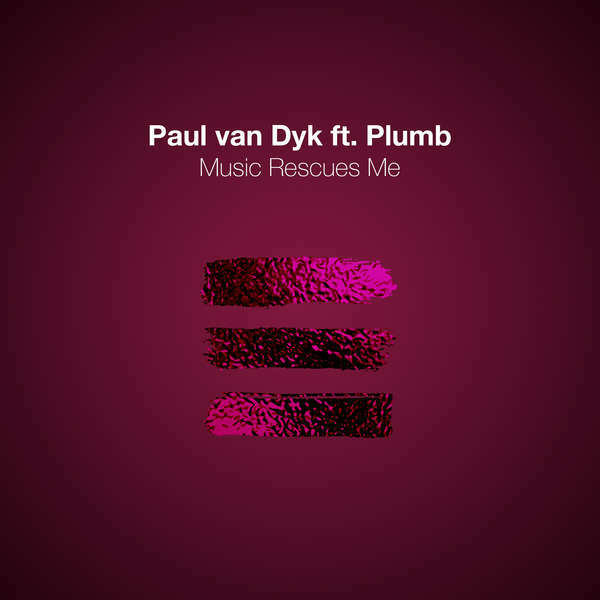 ‘Music Rescues Me’ is the single trailblazer for Paul van Dyk’s Fall-released, ninth studio album of the same name. It reunites the internationally renowned music producer with collaborators from not one, but two of his best loved recent times releases. For the track’s vocal, Paul is joined by Plumb - the singer who rendered 2012’s ‘I Don’t Deserve You’ much of its emotional punch. ‘Music Rescues Me’s song is co-penned by the lyricist behind latter-day van Dyk anthem ‘Home’, Snow Patrol member and long-time personal friend, Johnny McDaid. Paul & Plumb’s shared history reaches back three whole PvD albums, to ‘EVOLUTION’ and ‘I Don’t Deserve You’. Beloved by fans from both respective quarters, the pair stayed in close contact, looking for the right project to resume the partnership on. That came following a song-writing session between Paul and Johnny. “It took a little while, but, says Paul, in ‘Music Rescues Me’, I knew we had the right follow-up for Plumb”. STOP PRESS: ‘Music Rescues Me’s October album launch show at new London club titan The Printworks is now less than a month out. Having already housed some of the biggest names in electronic music, on October 12, it’ll play host to Paul’s début performance of the album’s music. PvD will become the first artist to deliver trance to the history-steeped surrounds of the former newspaper printing plant. If you’ve yet to secure a ticket, don’t delay - the majority have already been snapped up! Get yours via https://paulvandyk.london today. Paul van Dyk scoops Trance Master Award at the 21st annual DJ Awards. At the 2018 award ceremony, which took place at Ibiza Town’s Heart venue, Tuesday Sept 12 saw Paul honoured with the Trance Master DJ Awards gong. He joined other artists including Andy C, Carl Cox, Sven Vath and Hernan Cattaneo, as well as newer names like Ben Nicky in taking home 2018 awards on the night.